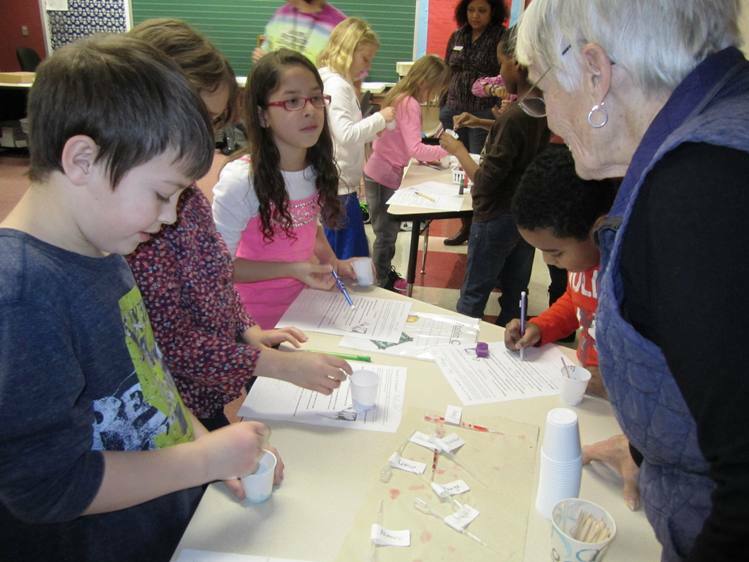 A few weeks ago I had the chance to stop in on a special activity at Avon’s Hickory Elementary School. 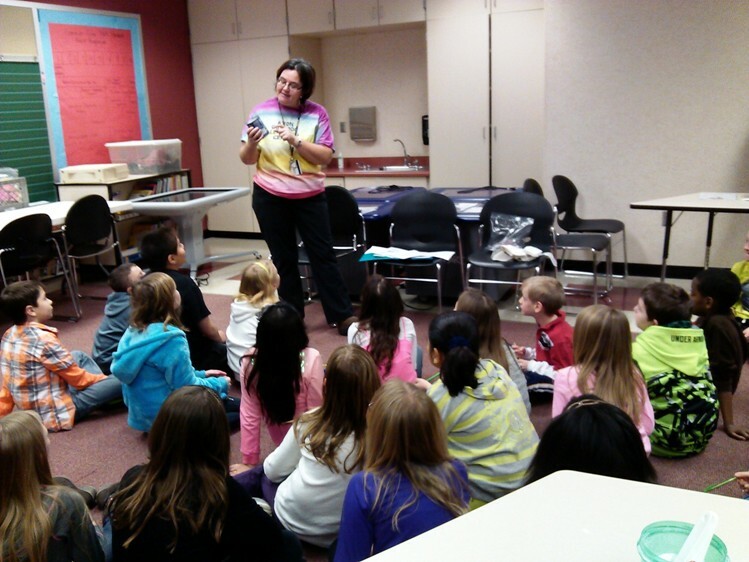 Jen Davies from Avon Outdoor Learning Center—a total rock star in the kids’ eyes—had come to talk minerals. 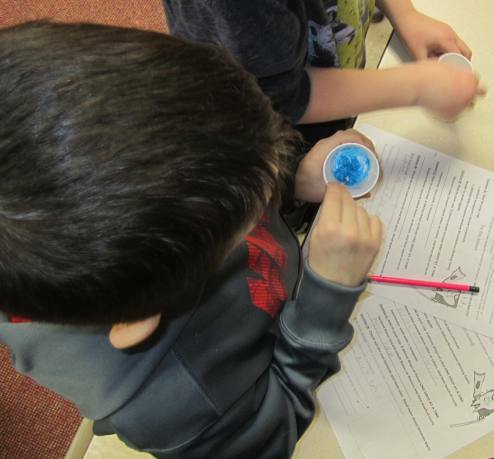 By day’s end 120 children would make the connection between minerals and something they encounter every day, toothpaste. In each hour-long session, Jen touched on Coke cans’ recyclability, Lunchables’ sodium content, Crest’s new products—and the broad appeal of minty-tasting toothpaste. Discussing the sodium content of common foods. Throughout, Jen telegraphed the absolute awesomeness of minerals. These third-graders were right there with her. This time of year, most of Jen’s work takes place in the classroom, but the Outdoor Learning Center is true to its name in every other season (and on some milder winter days). 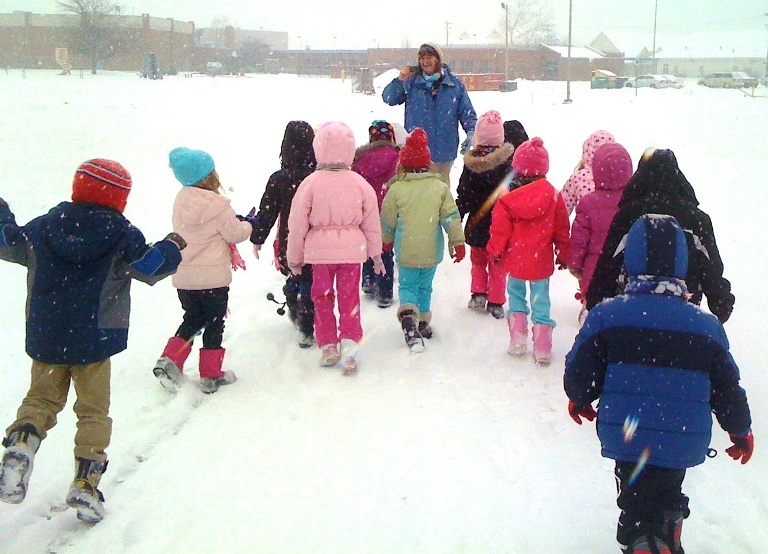 Jen Davies leads a group of small learners on a winter outing to catch snowflakes and look at their shapes. Photo courtesy of Avon OLC. 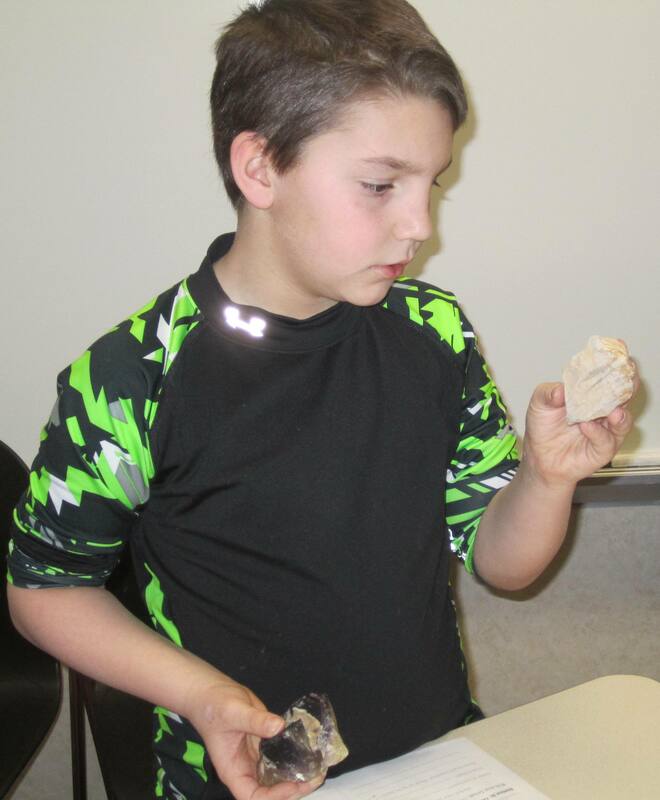 On seven acres belonging to the Avon School Corporation, students encounter the real-world stuff that makes science, math, and history come alive. Over 9,100 students, parents and faculty members visited the OLC in 2012-13, exploring two miles of trails and habitats spanning prairie, woodland, and wetland. A beehive and 7,000-square foot vegetable garden—tended by a garden club of 85 budding gardeners—offer further learning opportunities. The final two stations were the most exciting: droppers to add the coloring and flavoring of their choice. Adding flavoring with help from a volunteer. Would it be tutti-frutti, traditional mint, or maybe cherry, coco-lemon, or some other variation? And what color should it be? Tints of cherries, neon green, and ice blue bloomed in the paper cups. Blue proved to be a popular color. Sadly, Avon OLC faced major budget cuts in 2011. Jen has been raising money and finding grants to pay her own salary. Late last year word went out that funding had dried up—without help, her position would be gone by this month. Since then several thousand dollars have been raised. It’s enough to keep her, for now, until the end of the school year, but the future is uncertain. Several fundraisers are in the works to keep the center going. Visit the center’s site to see how you can help. Update: After I posted this, Jen was awarded the 2013 Donald H. Lawson Award for Conservation Education from the Hendricks County Soil & Water Conservation District. This entry was posted in Education and tagged Environment, Environmental Education, Garden, Indiana, Last Child in the Woods, Local food, No Child Left Inside, resilience, Richard Louv, Small but Mighty, Sustainability. Bookmark the permalink. Great article! I’m writing an article on the AOLC for the INPAWS Journal.